I was recently introduced, by one of its most loyal customers, to a very popular yogurt shop called Orange Leaf. So I got an idea to propose a holiday event there to fight hunger by awarding gift certificates to Orange Leaf customers who get the highest scores playing the game FreeRice. FreeRice is the online trivia game where for every correct answer, 10 grains of rice are donated to the UN World Food Programme. 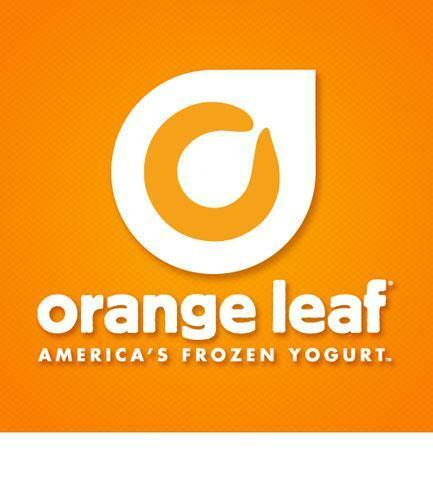 So hopefully this event will get up and running at the Orange Leaf which I visited in Cincinnati. While I was at the store I sampled the yogurt and gave it a yum! Now for me and others yogurt is a pleasure to add to the day. But a world away there are others for whom getting a chance to buy yogurt and other fresh foods is a simple step toward coping with the trauma of war. Refugees from the war in Syria who have fled to neighboring countries are without resources to buy food. One initiative the World Food Programme (WFP) has started is providing electronic vouchers so the refugees can actually shop at a store near where they are staying. This is less expensive aid compared to shipping in food long distances and gives the refugees some choices as to what they may buy. The use of vouchers also helps the stores in the area where the refugees live. This means less of a burden on the host communities and more peaceful coping. With any luck yogurt will soon be helping to raise funds for the World Food Programme through the FreeRice contest, while at the same time be a part of its hunger relief operation through electronic vouchers. A tale of two yogurts. Article first published as A Tale of Two Yogurts on Blogcritics.